Singapore is a small little red dot in the World Map, without mountain except a handful of small little hills scatter around the Northern and Western part of the island. Despite the limited space, Singapore manages to preserve large part of the forest as nature reserves. Some of these nature reserves have become heaven for die hard mountain bikers. 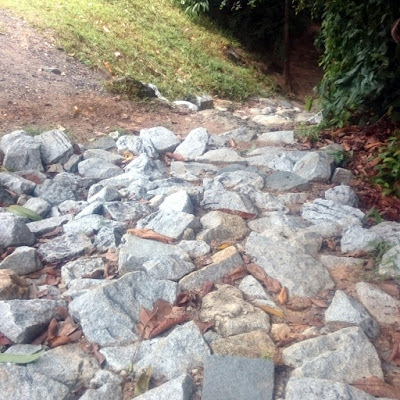 If you want a mountain bike trail at your backyard, try to find a house or apartment near Bukit Timah. A cost effective way is to buy a HDB flat next to Chestnut Avenue, the gateway to T15, Butterfly, Woodcutter and BT trails. 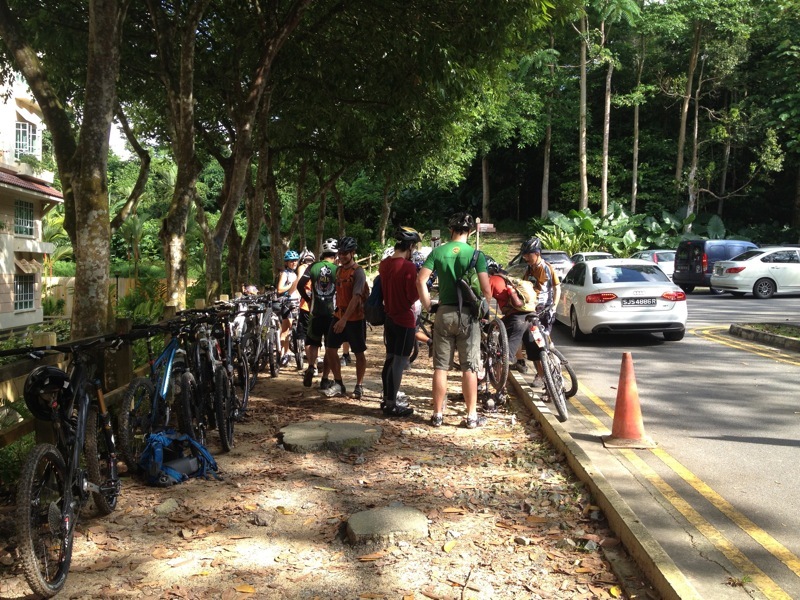 Following is a list of mountain bike parks in Singapore, which rank according to level of difficulty. 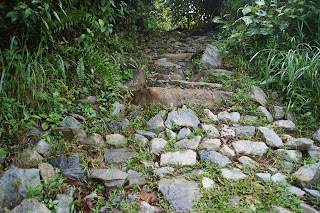 The ranking will change as the trails evolve over time. Do give me your feedback if you think the ranking is unjust. 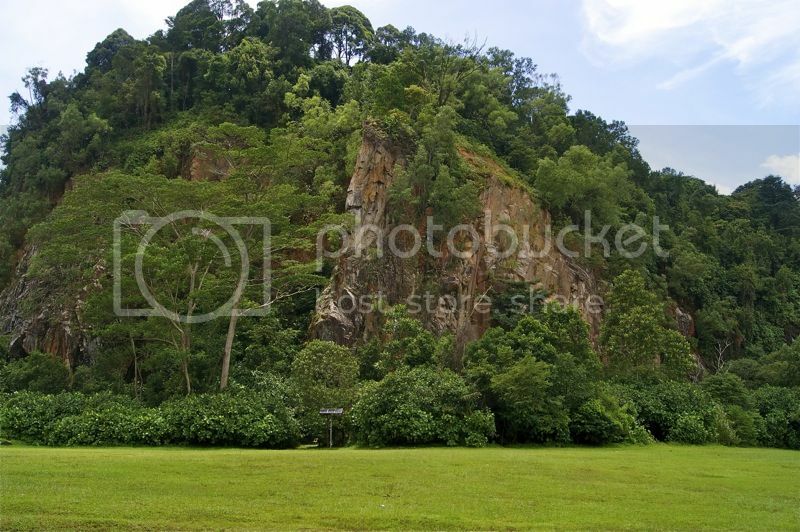 Kent Ridge Park is located in the Western part of Singapore, near the National University of Singapore and Silicone Valley of the East. Kent Ridge Park bike trail offers XC technical single-track for intermediate to advance mountain bikers; and a short technical downhill line for DH riders. The trail includes berms, drop, table top, tight switchback, descent and long technical climb. The short. The XC track was perfect for skill training, especially the climb and insane downhill tight switchback. 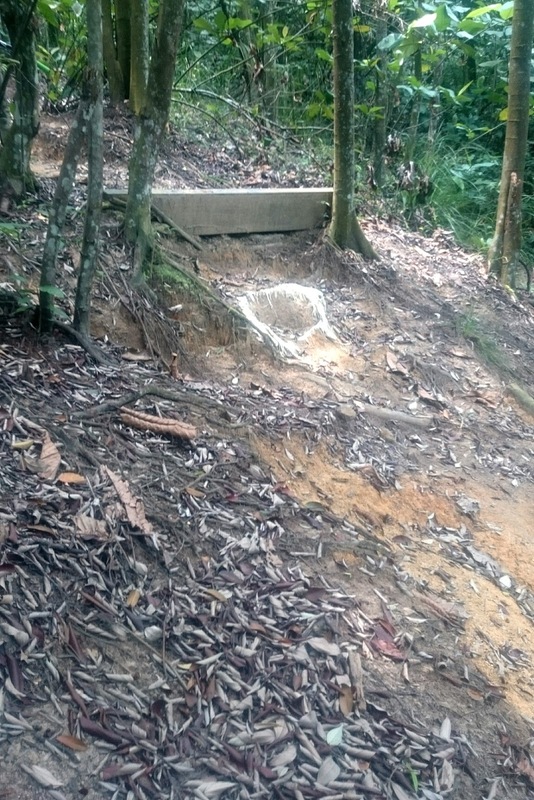 The DH track was perfect for hitting berms, but the tracks were prompt to soil erosion as sand bags were used for construction. The landing was quite dangerous for this drop, as the take off and landing sections were highly eroded and made up of mainly loose dirt. The Bukit Timah Nature Reserve is one of the Asean Heritage Parks, covering 3,043 hectares and bounding four reservoirs. The forest reserve comprises of a network of mountain bike trails (both official and unofficial) that offer bikers an environment to appreciate nature, practice biking skills and improve cardiovascular wellness. There are two usual entry points: the car park or Chestnut avenue. Whichever point you enter, you will end up at another car park (left photo) where the rock section is located. This is the place where most riders hang around before the climb. 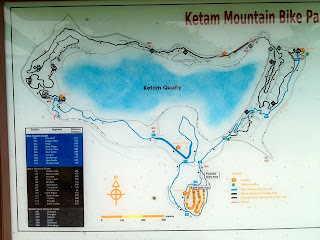 Ketam Park is located in the Western part of Pulau Ubin (Granite Island), a North-Eastern island sandwiches between Singapore and Malaysia. Pulau Ubin is a tiny island covering approximately 10 square kilometres, with a population of few hundreds people. The island used to be granite quarry, but it was shut down during 1970s and remains as untouched rural heaven ever since. In 2012, Pulau Ubin was voted the Top 10 most Secret Island in the World. To get there, you need to take a Bump boat from Changi Point Jetty, which cost S$2.50 per person one-way, and additional S$2.00 for the bike. 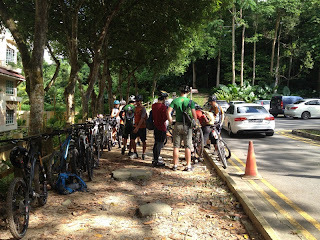 Hence, you need a total of $9.00 to get your bike to/fro from Pulau Ubin. Just pay cash directly to the boat man. The bump boat will only leave the jetty with 12 persons on board, unless you are willing to pay $30 for the whole boat. 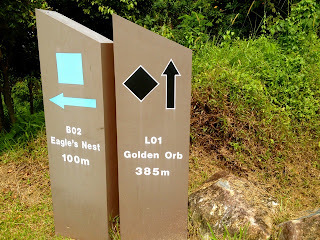 The trails are marked with blue square or black diamond. Blue square represents trails with a combination of some steep slopes, narrow track with poor traction. Black diamond represents trails with a combination of long step climbs, drop-offs and tricky obstacles. Double black diamond represent trails with a combination of very steep climbs and drop-offs, sharp corners and tricky obstacles. 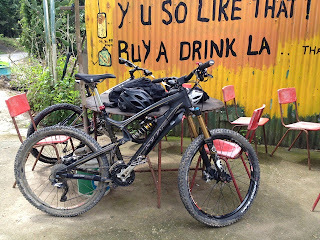 After the ride, you can stop by some local drink stalls along to way to freshen up. Coconut is one of my favorite drinks in Palau Ubin, which cost $2.50 per piece. You should not pay more than that. It is awesomely sweet and refreshing! 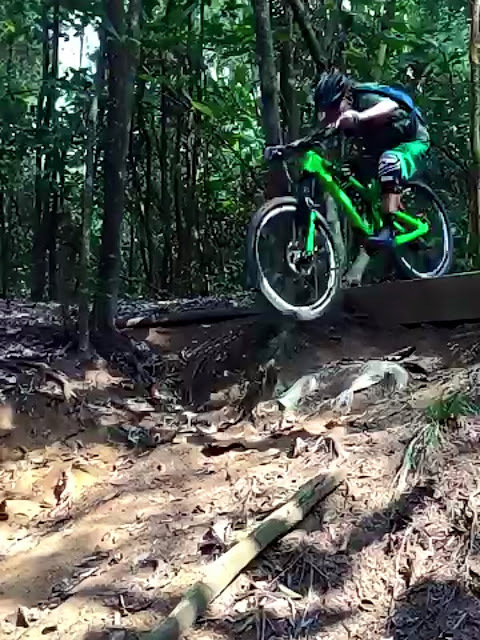 You may want to watch the following YouTube video clip (15 mins) on a ride from Siglap to Ketam Bike Park. Video: Full video shows you how to ride from NKF carpark to T15 (11mins), and back again to NKF carpark (11mins). Easy trails, non-technical and suitable for novice to advance riders. Updated May 2013: According to MBASG, ban on Butterfly (BF) has been lifted and the trail has become a shared trails with hikers. 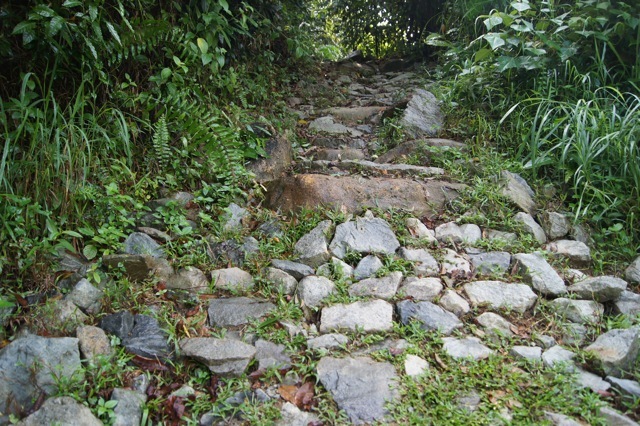 However, proper trail etiquettes must be advocated to ensure the status remains. For more information about trail etiquettes, kindly refer to this link. 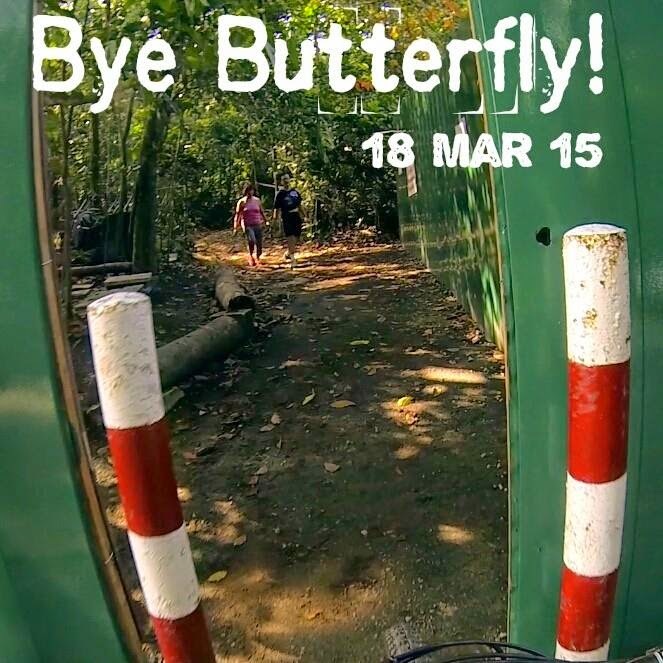 Updated March 2015: Butterfly trail was officially closed on 18 March 2015. According to Nparks notice board, it will be reopened on 4th quarter of 2015. However, sources indicate new mountain bike trails will be built at Chestnut area to replace Butterfly trail. Updated May 2013: According to news report, Tampines Bike Park will be closed for residential apartment development. Chestnut Nature Park comprises of (1) Southern MTB Loop, (2) Northern MTB Loop, (3) Gangsa Challenge Park ans (4) Chestnut Pump Track. The mountain bike park was built to replace Butterfly trail, T15 trail and Freeride park at Gangsa. It took almost 1.5 years to build, with the Southern Loop completed by mid 2016 and the rest completed by March 2017. Finally got our first proper pump track in Singapore. Good for skill training. Tarmac was intentionally used to build the pump track for ease of maintenance and prevent soil erosion in tropical climate like Singapore. The Chestnut MTB trails run parallel with hiker trails and designed to minimize hikers intrusion. Generally well planned, the trails comprises of multiple loops graded black and blue which leads you to the Gangsa Challenge Park that were designed for jumps and drops. 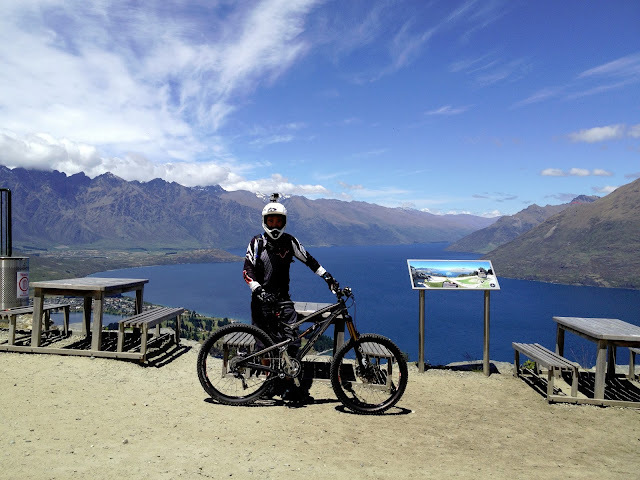 Many improvements have been made to enhance riding experiences, such as smooth and flowy trails, berms, switchbacks, rock features and nature roots. 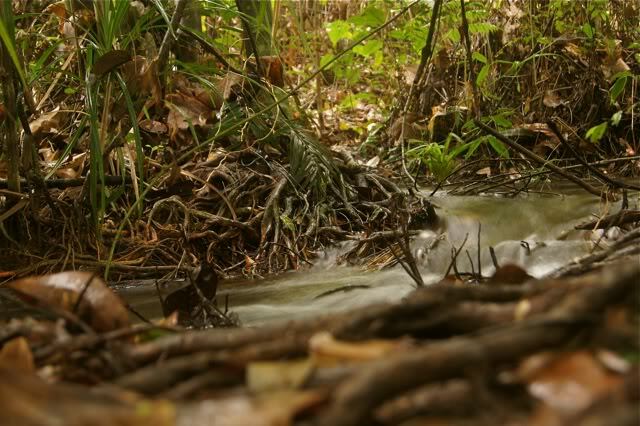 Due to the nature of the forest, ponding is unavoidable. 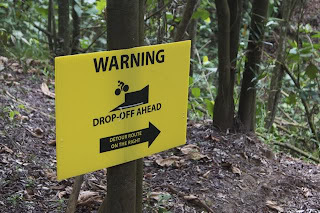 As much as what Nparks can do on trails design, drainage and rocks sections, responsible riding behavior and good mountain biking etiquette go a long way to make the MTB trails more sustainable. 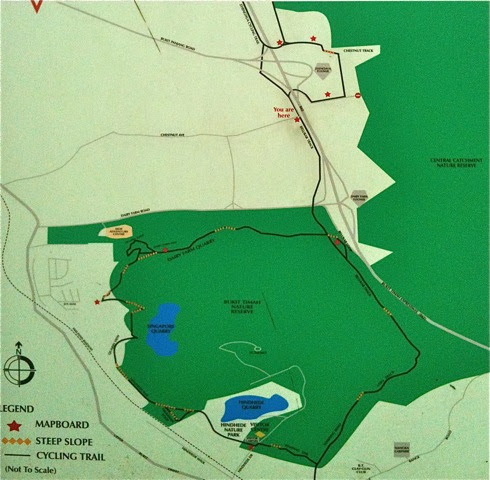 Chestnut Bike Park is located at the Northern side of the Northern Loop. It is s Freeride bike park designed for Intermediate to Advanced Skill riders. Large berms, drops, jumps, table top and rocky sections are all located here. Be warned to wear protection gears, the rocks will not be forgiving if you crash or fall. After the ride, wash your bike for $2 at AIRE MTB SHOP located at Chestnut Nature Park car park. If you only have one day to spend riding MTB trails in Singapore, I would highly recommend Chestnut & Bukit Timah MTB trails. Both the trails are next to each other with a combined distance of about 18km. Will do a more in-depth write up when I have the time to do so. thanks for the great page! 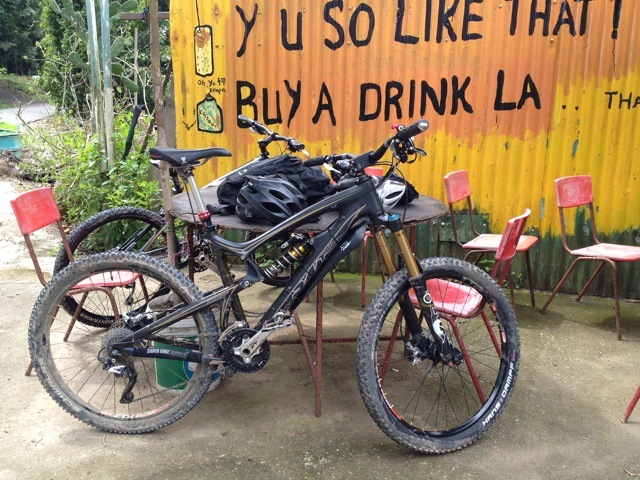 I just bought a mountain bike, a Giant Anthem X, and will be moving to Singapore soon. How much does a bike that cost in Singapore? I'm trying to decide whether to get another bike when I arrive, or ship this one, which will be costly. Thanks! Welcome to Singapore! Giant Anthem X is an awesome XC bike. Depending on where you come from, the price for similar model should be the same after factor in the shipping cost. The GST (Good and Service Tax) is 7% in Singapore. However, for customized bike and components (E.g. 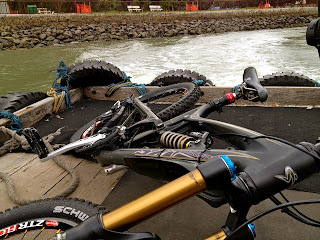 Santa Cruz frame, Fox fork, etc) it may be cheaper from overseas (E.g. USA & Canada). The advantage to buy in Singapore is local support and warranty claim. I would strongly advise you to do so. Glad you found the article useful. Have an awesome and safe ride! Hi Lloyd, welcome to SIngapore. Sorry for late reply as I was down with broken fibula and ankle. You may want to join one of local riding groups here https://www.facebook.com/groups/mtbkakis/ . Cheers! Can you recommend a place to rent decent bikes? Hi there, are you renting bikes for long-term or short rides? For short rides in Ketam bike park, there are shops in Palau Ubin that rents decent bikes at daily rates. There are also bike rental shops along East Cost Park if you are for leisure coastal rides. For long-term rental, I would recommend you to buy one and sell it off later. Cheers! Just rent a bike and explore will do. 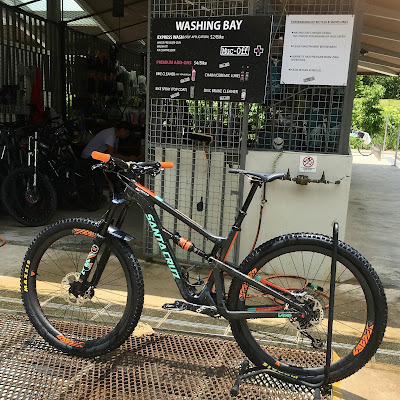 If you intend to ride ketam bike park, be sure to rent good quality bike with reliable gear shift. Great page Chris! Thanks for the useful tips. hi chris! happened to google on mountain biking and found your blog. quite enjoy reading your riding experiences, insights and tips. i'm in my mid 40s and trying to pickup cycling after 20 plus years of abstinence from cycling before my waistline expands even further and before my body begins to age further. i'm switching to mountain biking instead of road bike and i'm trying to grapple with my 29er while looking for trails which are easy for me to ride (like the green corridor). anyway, hope your ankle has been fully recovered. keep riding and keep writing. God bless! Thanks Chewy. Good to know you are back on saddle. Some of my riding mates are between 50 to 61 years old. They are as fit and as skillful, if not better than most of us. We either use it or lose it. Yes, keep riding. Cheers! I was searching for mountain bike in SIN and found the page, the information is so useful! Do you know where to rent a mountain bike (for short terms) if I go for the Green Corridor? Great post.They can be helpful to those who are looking for good bike deals. Most informative. Thx! , Super! Thanks especially for the video! I'm not very good on bike. 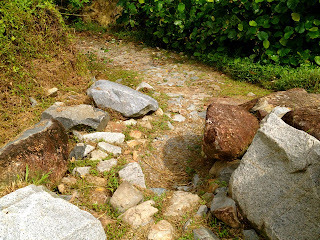 Can I just hike in Ketam Mountain bike trail? Hikers are not allowed in Ketam mountain bike trail. However, there are many hiking trails in Palau Ubin. This great post about mountain bike wheel and its importance. As we know the success of mountain biking largely depends on its wheel and tire.